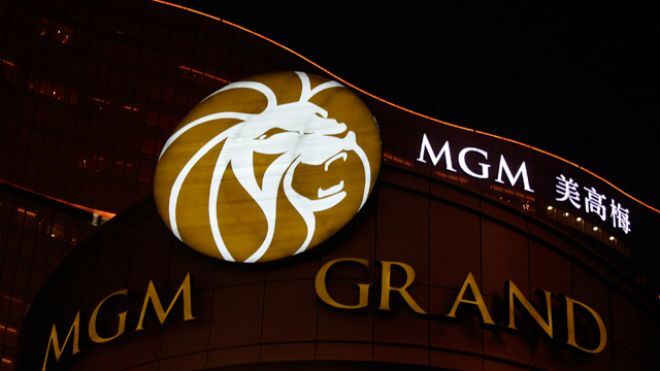 While growth in the Macau gaming market propelled Las Vegas Sands (LVS) and Wynn Resorts (WYNN) results past analyst expectations, MGM Resorts (MGM) failed to keep that trend intact when the reported Q3 numbers before today’s opening bell. Revenues grew 9% year-over-year to $2.46 billion, topping expectations of $2.4 billion. Earning came up short though as MGM lost $0.07 on the quarter, missing the street’s consensus by $0.04, despite seeing Adjusted Property EBITDA for the quarter grow 24% to $546 million. MGM’s Macau operations continued to perform well as expected, nearly doubling their operating income to $114 million. The MGM Macau alone generated more revenue for the company than The Bellagio, MGM Grand, and Mandalay Bay combined. Their Las Vegas operations did show signs of improvement however, with revenues and operating income up slightly year-over-year on improved occupancy and average daily rates. The real handcuff for MGM Resorts comes in the form of massive amounts of debt on their balance sheet. Despite vastly improved operations the past few years, MGM’s debt burden amassed during the economic downturn has left the company with exorbitant interest expenses. For the 3rd quarter the company’s operating income of $247 million just barely exceeded the $210 million in interest expenses for the period. With a market cap of $9.2 billion and a total debt load of over $13 billion, this is not a problem that will go away anytime soon. Despite being extremely bullish on the Macau casino industry, MGM is the one domestically traded operator in the sector worth avoiding. With significantly more exposure to Las Vegas than their peers, limited growth prospects until 2016 when they open their Macau Cotai property, and a huge debt issue that will weigh on earnings for years and years to come, MGM looks destined to be the worst in class of the major casino operators for the foreseeable future. Melco Crown (MPEL), Las Vegas Sands, and Wynn Resorts all present a better investment opportunity than MGM does.